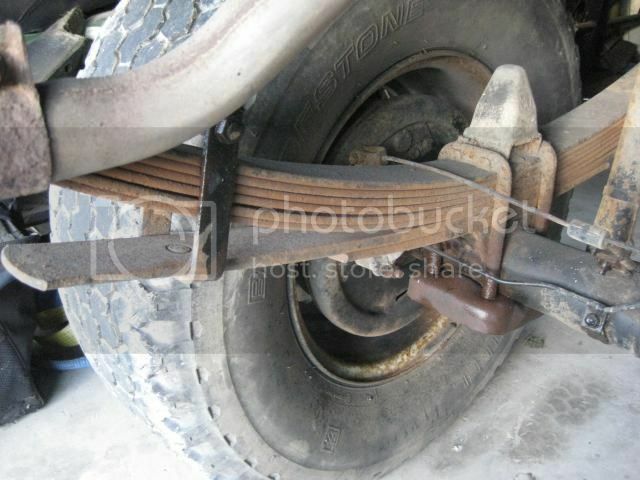 87 hilux rear springs hard as - which to remove? hey all, iv got this 87 hilux that was set up as an farm truck, it sits high as in the back and since ive pulled off the ton and a half of deck off it and made a new lightened model it now bounces around corners at higher speeds. now I know you can remove leaves and all that but which ones???? something tells me that i need to pull the 5th one down from the top for a start?? 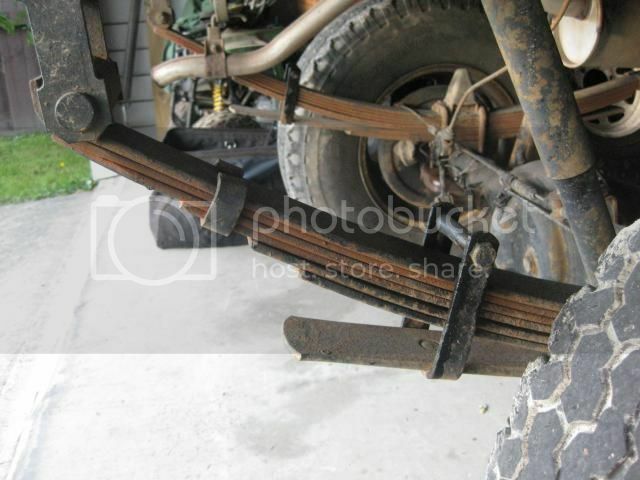 Re: 87 hilux rear springs hard as - which to remove? Mate #1 thing to do is replace the shockies. Hiluxes depend heavily on shockies......when they are buggered they ride like a dray. New shockies and good ones. They also ride like a dray empty too.....this is why lots of cockies fit heavy steel trays. They realy do ride better with a bit of weight in the back......a decent tool box and a few goodies will solve that one. If that is a heavy spring pack that has been fitted, maybe go back to a standard spring pack. BTW I don't like the look of that handbrake cable rubbing on the top of the spring pack. If ya dead set on removing leaves......a picture of the whole spring pack would be helpfull. In have pulled out two add a leafs from each side, I lost an inch of height and now the cable clears no prob.